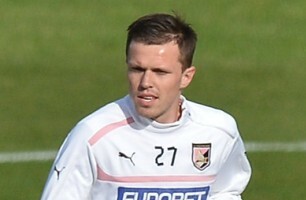 It has been reported that Arsenal are eyeing Palermo midfielder Josip Ilicic. Palermo president Maurizio Zamparini has declared he will sell the Slovenia international following their relegation this week. Ilicic has been linked with Inter Milan and Juventus, while Sicilian sources say Arsenal are also interested. The midfielder, 25, very much plays in the style attractive to Gunners boss Arsene Wenger.